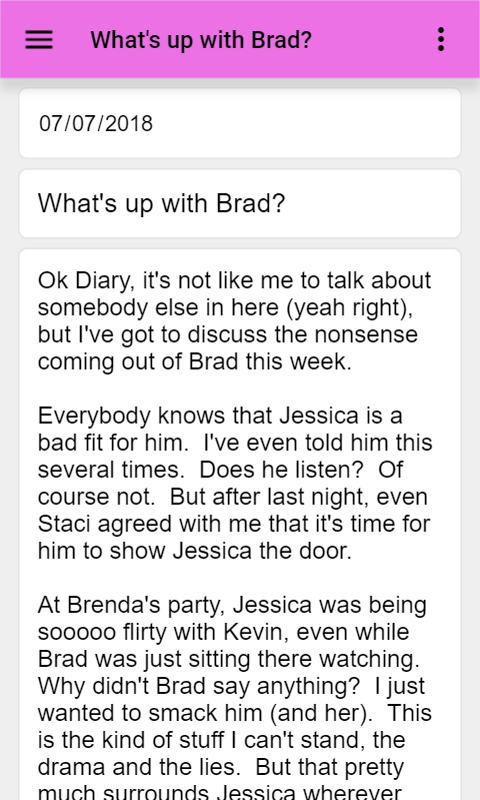 An easy to use yet powerful and full featured diary and personal journaling application! 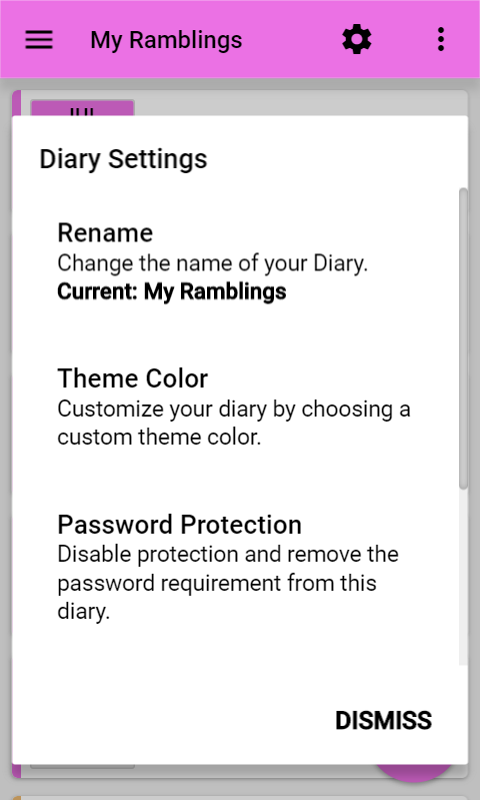 EZ Diary allows you to create multiple diaries, with unlimited entries in each. 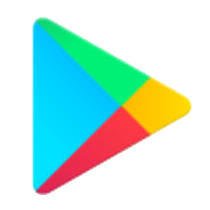 Add password protection at both the diary and journal level, customize your theme colors, and (optionally) sync your diary across your devices by signing in with an Ape Apps Account. EZ Diary even allows you to print out your diary to paper for permanent storage. 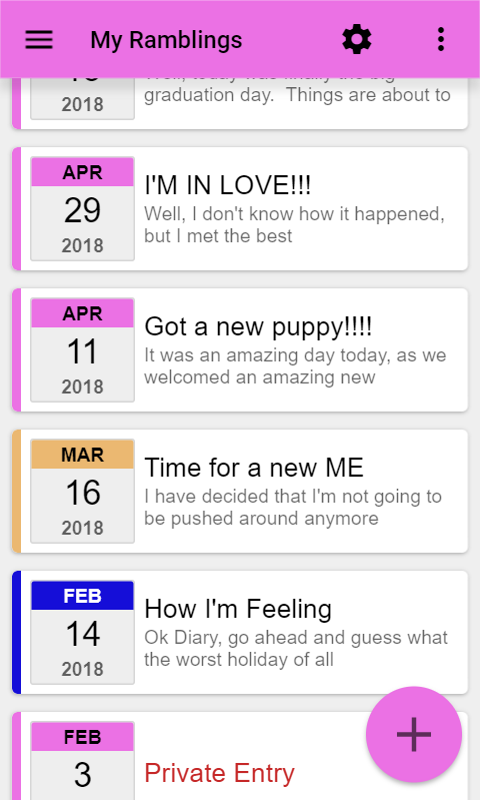 When you are ready for a diary app that gets out of the way and lets you write, check out EZ Diary!